Nothing ruins a road trip faster than a low or flat tire. It’s one thing to have to find a gas station where you can fill your tires, but getting trapped with a flat in the middle of nowhere can be a nightmare of a situation. Having a tire inflator on hand is the best way to save yourself from getting stranded. 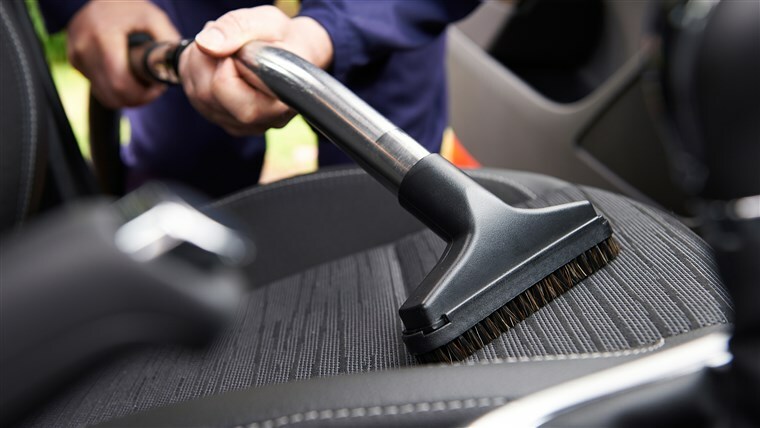 They are handy, simple to use and portable; a totally necessary modern car accessory. Owning an inflator will keep you out of the repair shop and on the road. There are a lot – and we mean a lot – of tire inflators out there, and they are not all the same. To help you find the best one for you, we have narrowed it down to the top six tire inflators on the market in 2019. This guide will walk you through the advantages and disadvantages of each one. We have also included some tips at the bottom on how to match the best tire inflator to your specific needs. SuperFlow 12V HD Air Compressor: a heavy-duty inflator, long-lasting, super fast and ideal for larger vehicles. Slime Pro Power Heavy-Duty 12-Volt Tire Inflator: efficient and effective, simple to use. A good inflator for any vehicle owner. Tirewell 12V Tire Inflator: sturdy and extra-stable inflator, made for long-lasting quality. Miady Digital Tire Inflator: digital inflator with an auto shutoff feature, lightning-fast inflation for any size vehicle. (Our Top Recommended) JACO SmartPro 2.0 AC/DC Digital Tire Inflator: intelligent digital inflator, pre-set and auto-shutoff functions. Built to last. Master Flow MF-1050 Tire Inflator: a reliable and versatile inflator for a number of uses. You will get great performance at an awesome value out of any of these six options, but they do have their individual pros and cons. Read on to learn more about each of them in detail. We’re starting this list off with a great mid-range option. This inflator is one of the top models made by the SuperFlow brand. It’s sturdy and ideal for larger vehicles. The SuperFlow Heavy Duty air compressor is, as the name suggests, seriously heavy duty. It is sturdy, dependable and fast. Perfect for people with trucks and bigger vehicles, it is designed to fill tires at least 35-inches or bigger (but it will still do the job on a smaller tire, too). This inflator uses the vehicle’s battery as its power source using alligator clamps – much like you would use to charge or jump the battery. 25% faster than inflators of the same brand, it can get a large tire refilled in two minutes or less, and have you back out on the road in a hurry. It has a durable metal build that will last a lifetime, an extra-long coiled hose and a rugged base so that it won’t tip or be knocked over while in use. The airflow from this machine tops out at 6400 cubic inches per second. The SuperFlow HD is a little heavier than other options, and it is very powerful. If you have a smaller vehicle, it may not be necessary. But for large trucks, RVs, buses, and other large vehicles, this is the perfect inflator to keep on board. A slightly lower-budget, but still top-quality tire inflator. 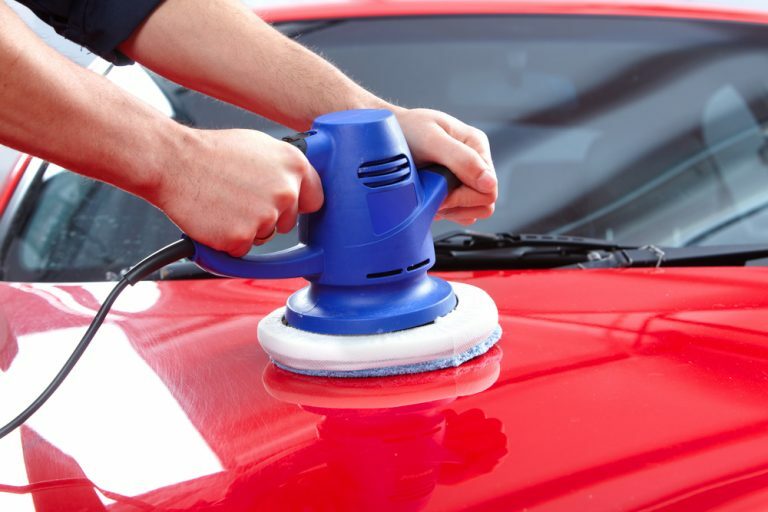 The Slime Pro is fast, stable and great for standard-sized vehicles. Its simplicity makes it ideal for less experienced buyers. The Slime Pro may sound like a funny name for a tire inflator, but this thing is no toy. It is built for efficiency, filling up your standard tires in just about 3 minutes. Canvas bags for easy storage are included – there is no reason not to have this little tool on hand in case of a roadside flat. The inflator plugs straight into the cigarette lighter on your dash to connect to your car’s battery, just like a phone charger or other portable electronics. A gauge on the side measures tire pressure as it inflates to prevent any risk of over-inflating; it is simple and intuitive – you don’t need to know a thing about cars or tire pressure to understand it. It also comes with a bright LED light to help you connect the hose and read the gauge if you are filling the tire in the dark. 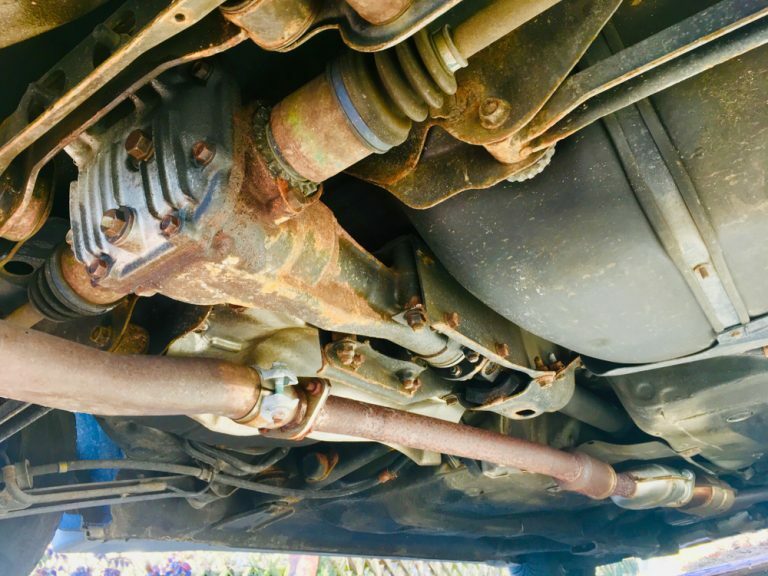 A 16-foot hose makes it easy to reach all four tires on your car, and quick-connect tip allows you to attach and detach it with ease. While this inflator has plastic components, so it will not last as long as other, sturdier options, it is a great choice for convenience and ease-of-use. After all, most of us don’t use a tire inflator every day – so we’ll take effectiveness over long lifespan any day. Another sturdy and extra-fast option. The Tirewell inflator is great for large and standard-sized vehicles alike. Unique stability technology makes it quieter and perfectly stationary while it inflates. The Tirewell inflator is all about speed and stability. 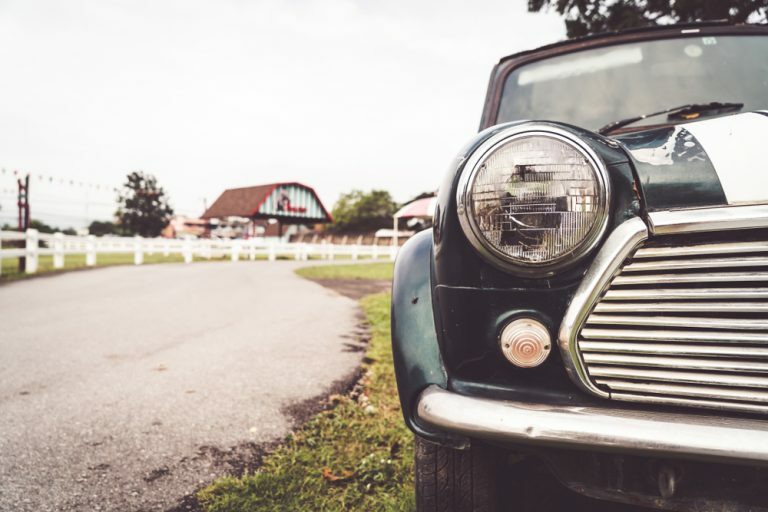 Its specialized four-rod fuselage and secure rubber feet work to reduce vibrations, which results in an overall quieter process and helps to prevent the inflator from tipping over, which can be a common issue during roadside repairs, especially in the dark. It is speedy enough to fill a standard-size tire in two minutes, but simple enough that anyone can use it without much experience. Like other inflators, the Tirewell connects to your car battery through the cigarette lighter. The power cord is over 11 feet long, and the coiled inflation hose reaches up to 16 feet. It is also equipped with a convenient handle to carry and place it. This is a smaller pump, easily stored in your vehicle and ready to use when you need it. It can inflate any tires, from motorcycles and quads up to RVs and buses. Its sturdy build also makes it a long-term purchase – and at less than half the cost of other, similarly durable inflators. We would recommend this inflator to any vehicle owners. It is guaranteed not to let you down. The Miady Digital Inflator takes it up a notch with a digital gauge and smart inflation technology. This is an innovative inflator, extremely easy to use and effective on all tire sizes. Didn’t think a tire inflator could be considered “high tech”? The Miady makes everything about inflating your tire easier. A backlit digital display shows you exactly how much pressure is in your tire as it fills – which it does quickly. Then, it will automatically shut off when it has reached maximum PSI. There is hardly anything you need to do but attach it. You connect this inflator to your car’s battery using alligator clips, rather than through the cigarette lighter. That might seem like a downside for some, but it is what ensures the high power and speedy air output. It runs on double cylinders and dual motors. 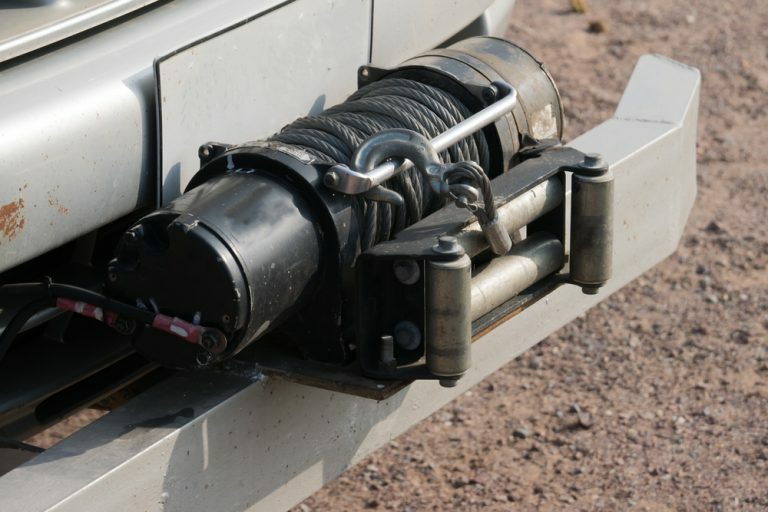 The power cord and inflation hose are both long enough to reach the tires on any size vehicle, but not as long as on other models. LED lights are attached so it can be used in the dark. One of the best features of this digital inflator is its versatility. Not only can it fill any size of tire in minutes, it also comes with 3 extra nozzles for use beyond vehicles – fill up your innertube, bike tires, raft or beachballs at lightening speed. This is a great, multifunction inflator. We would recommend it for someone with a variety of inflation needs. Another digitalized option, the Jaco SmartPro can be pre-set to pump to a certain pressure and will automatically shut itself off. It has a durable build and is made for long-lasting quality. Compared to the other digital inflator on this list, the Jaco SmartPro is a bit slower, but a little higher-quality in terms of reliability and a long lifespan. It also has one smart feature the Miady lacks: the ability to preset the pressure you would like to fill your tire to. Instead of just shutting off at the maximum PSI, this inflator will fill to exactly the pressure you want, adding an extra level of convenience. It also contains an LED flashlight with 3 different settings for use in any lighting. 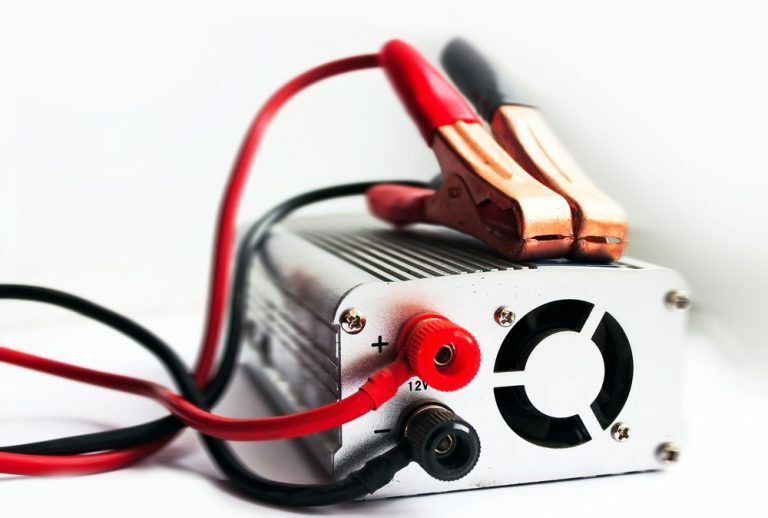 It is powered by a 10-foot cord that connects to a cigarette lighter for inflation on the road, or to a wall outlet for inflation at home. The power is a little lower than some other options, filling a standard tire in about 3 minutes and maxing out at 100 PSI. That said, 3 minutes is still a great time, and what you lose in speed with this product you make up in quality. The inflator itself and the inflation hose are both built out of durable material that will last through years of use. If that’s not enough, it comes with a lifetime satisfaction guarantee, so you are covered if it breaks or gets faulty. A top-quality product – we would recommend it to someone who will use it a lot, and is willing to pay a bit more for durability. This is the last item on our list, but certainly not last in terms of quality. The Master Flow MF-1050 is a heavy-duty inflator for tires of any size. It is super convenient and should last you a long time. This Master Flow inflator delivers professional quality and convenient use all in one. It’s 16-foot inflation hose is long enough to reach the tires on any vehicle without strain. 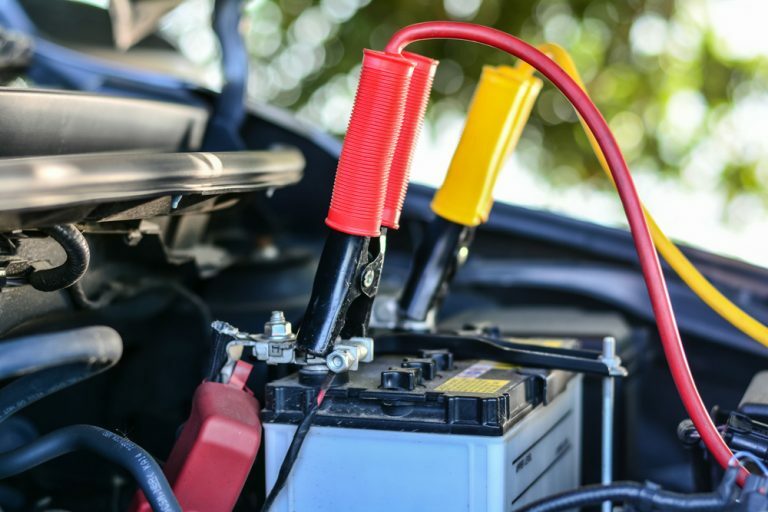 It connects to your car battery using alligator clips, giving it high power capability and speed – it will fill a standard tire in a little under 2 minutes. This inflator is also super versatile. It comes with two additional nozzles, a ball inflation needle and an extra fuse for multiple uses. It will come in really handy on camping trips or other outdoor excursions, when you may need to fill up a raft or ball on the go. A compass dial measures air pressure and a single switch turns the inflator on and off. It also comes with a sturdy canvas bag for convenient carrying and storage. One feature the Master Flow MF-1050 is lacking is a built-in flashlight – you will need to have a separate source of light on hand when using it in the dark. Other than that, though, this is an all-around top quality inflator and a great option for someone who spends a lot of time outdoors with their vehicle. Now that you have seen some of the best tire inflators on the market, how do you decide which one is right for you? There are a few factors to take into consideration before you make your purchase. This next section will guide you through how to make the best choice for your specific needs. Several of the products listed above boast sturdy builds and lifetime guarantees; others do not. So, how much does the lifespan of your tire inflator really matter? Well, that depends on how much you plan on using it. If you are just looking for a tire inflator to keep in your car in case of an emergency, you don’t need to be too concerned with its durability. Chances are you will use it once or twice in a pinch. As long as the inflator is effective, fast and easy enough to use, it will serve its purpose as an emergency roadside tool, regardless of the material it is made out of. 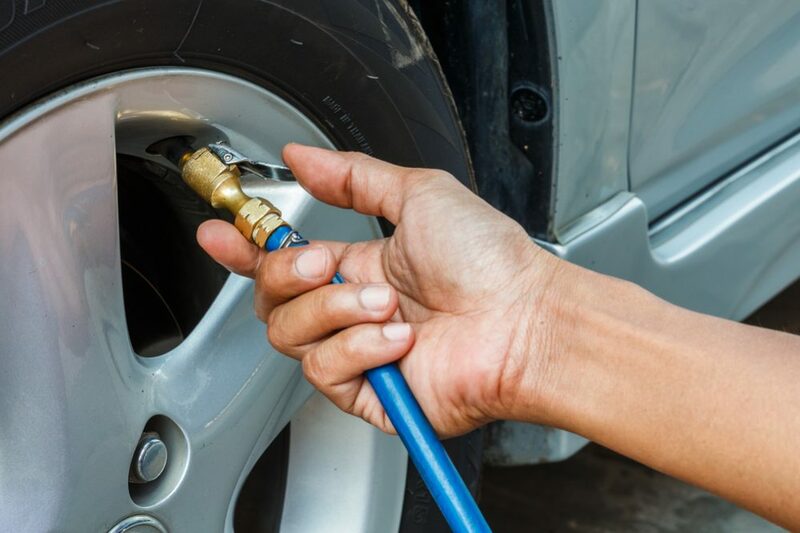 However, if you plan on using your tire inflator often (if you provide professional roadside assistance, if you spend a lot of time off-roading and need to refill your tires a lot, if you frequently use large water toys or other inflatables, etc.) then you will want to keep your eyes peeled for a model that is going to last you a long time. Avoid plastic, and pay special attention to brands that provide warranties or satisfaction guarantees. You don’t want an inflator that is going to break down on you after a few uses. Does it matter if your tire inflator comes with extra bells and whistles? Again, it depends on how you intend to use it. For a lot of people, all they need in a tire inflator is just that – the inflator. If that is the case, you should look for an inflator that simply does its job well. Don’t worry about extra attachments or additional uses – focus on the quality of the inflator itself. If you think you might benefit from a little versatility, though, there is no harm in making sure your inflator comes with extra nozzles or automated settings. For someone who owns more than one type of vehicle, or often needs to inflate other items, we would recommend investing in an inflator that has multiple features. That said, one extra feature that everyone can benefit from is a built-in light. This will come in handy if you need to inflate your tire at night or in a dark space. 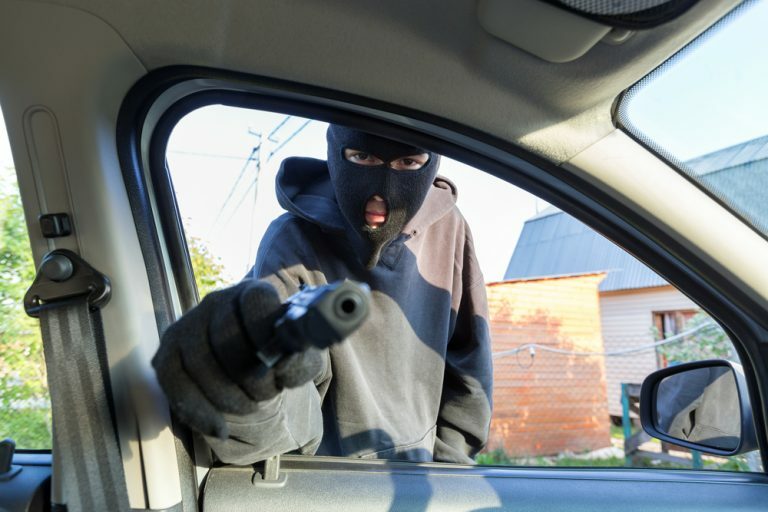 If you choose an inflator that does not come with a light attachment, always be sure to keep a flashlight in your car. A final consideration in choosing your tire inflator is its stability. 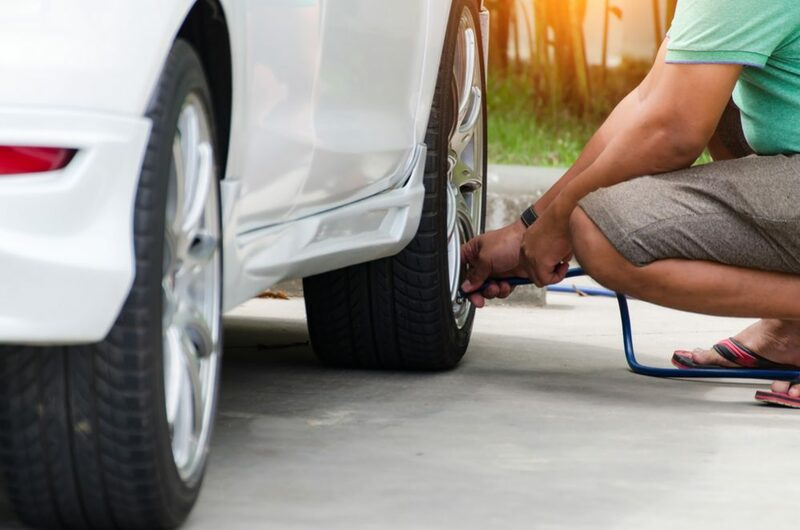 Sometimes the difference between easy inflation and time-consuming inflation just depends on whether the tire inflator will easily stand up on its own. An important feature to look for – especially if you are someone who has not used a tire inflator before – is a design that promotes stability on the ground and will prevent the inflator from tipping over. For someone who uses a tire inflator often, stability might not be such a major consideration. However, the more stable an inflator is, the quieter it will be – not to mention, it is simply more convenient to not have to worry about holding the inflator in place while you use it. Stability should definitely play into your overall decision. 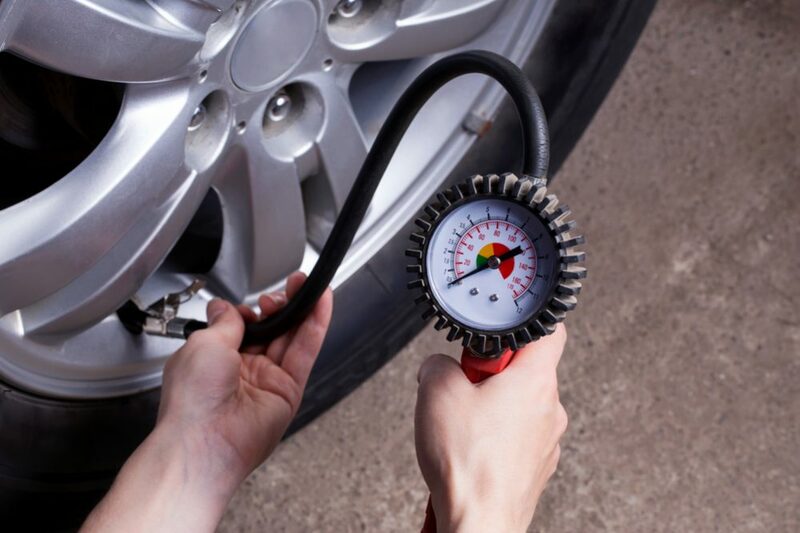 Using a tire inflator is all about understanding tire pressure. 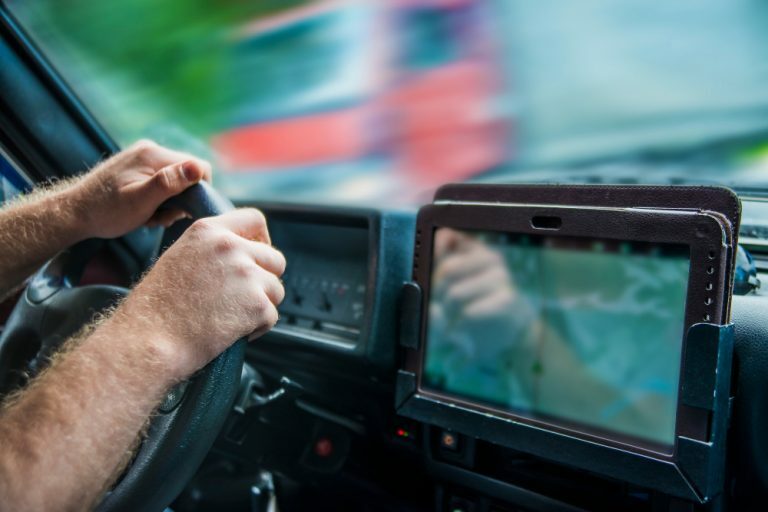 To use it correctly, you need to be clear on these three factors: the standard pressure of your tires, the current pressure, and how to meet the standard. Fortunately, these days a proper tire inflator will do most of the work for you. Still, it is important to understand pressure levels to avoid hurting your tires. Before you start inflating your tire, you need to know what you are inflating it to. The standard pressure for your tires will depend on your vehicle, so be sure you know what that is before you hit the road. When your tires are low, you will want to know what pressure they are at exactly before you start inflating. 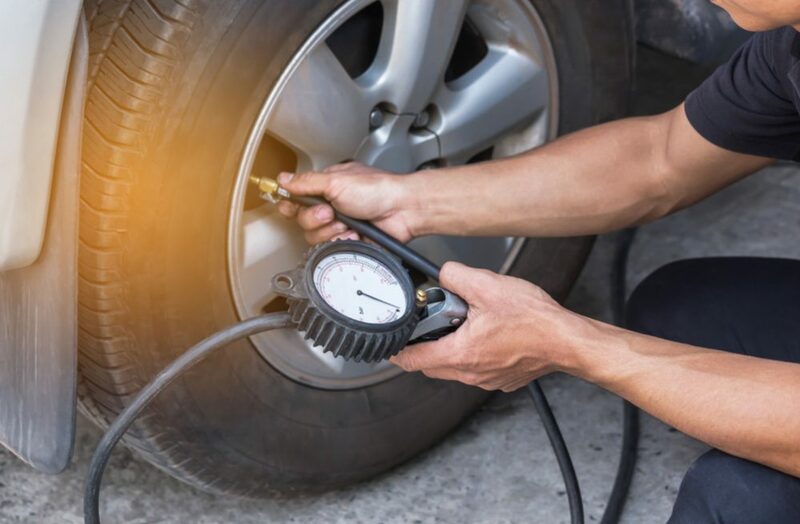 Most modern tire inflators come with a pressure gauge that will let you know where the pressure is at as soon as you connect them. The pressure gauge will also inform you when you have met your tires’ standard. It is extremely important to avoid going over the standard pressure for your tires. Excessive pressure can result in damage to the tires and, in turn, the vehicle. For that reason, inflators with an automatic shutoff feature provide an extra level of security. A good tire inflator can make a world of difference. It will get you back on the road when you have been stranded with a flat. It will save you money by helping you avoid filling your tires up at a gas station or having them professionally filled, and it will help you out any time you need a large inflatable filled up. The six products listed above are all great options for fast, efficient and reliable tire inflators. To choose the right one for you, consider how much you will be using it and what you will be using it for. Some of the models on this list are a bit pricier than others, but we promise – any price you pay will be worth the security, convenience, and peace of mind you get from owning a quality tire inflator. Now that you’re informed, get out there and make your purchase!